“I know you feel too old. But if you whisper, only I will hear you.” From soil’s opening lines, the album’s main themes are present: sensuous desire, sacred intimacy and our hesitance to find these releases. 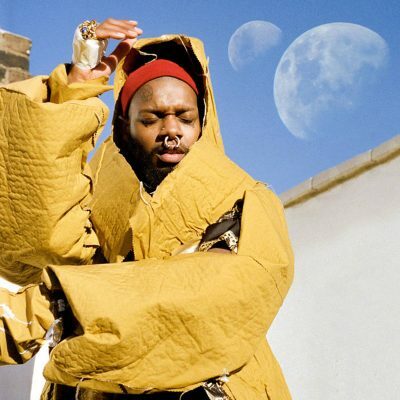 As serpentwithfeet, Josiah Wise sings about these weathered concepts in a fresh, unique way. While many of his techniques have precedents (Al Green, Madonna and Frank Ocean among them), he assembles them in an independent manner. The music and stories on soil exist in the liminal space where eroticism becomes comfortable romance, where a one-night stand turns into a life-changing relationship. Across the whole album, the music is exponentially stranger than on Wise’s debut, blisters. The sounds are more grotesque, the vocal effects more jarring and the jittery paranoia aligns much more with his peers on Tri Angle. Even against other experimentalists like Lotic or Katie Gately, Wise’s music feels completely out-there. Thankfully, he has a knack for legitimizing even his strangest excursions. “wrong tree” initially sets out as one of the most baffling cuts here. Its hook is a campy, barbershop-style bounce that seems wildly out of place against the message of misread cues and mixed signals. The track ends with a mash of layered vocals, chopped samples and melismatic ad libs, turning a goofy musical idea into one of the most rewarding bits of sound design on soil. He takes the shared embarrassment of the music and lyrics and finds a common ground where they both have emotional meaning. Beyond its draw on choir and gospel music, soil is rich with religious and spiritual references. Instead of creating a dissonant irony between religion and his queer desire, Wise finds a way to elevate both to glorious heights. Just when you might be convinced that “cherubim” is some sort of Christian avant-pop tune, Wise starts to sing about how good the inside of his lover’s mouth tastes. Wise’s sexuality is his devotion, and his faith cannot be removed from the romances in his life. Instead of directing his prayers to a god, he calls to his lovers and friends for guidance and salvation. Strangely, then, it’s fairly unclear as to who the subjects of these tracks are: Wise could just as well be singing about a string of a dozen lovers as he could about one individual. This ambiguity is ultimately irrelevant. The importance of these songs isn’t in the objects of desire themselves, it’s about their effect on Wise. The love interests are present in their absence (“messy”), their ex’s kisses (“fragrance”) and their lasting impressions on Wise (“invoice”). Rarely (if ever) does anyone ever take center stage. Every moment is filtered through Wise’s experience and memory. Selfish, maybe, but nonetheless honest.